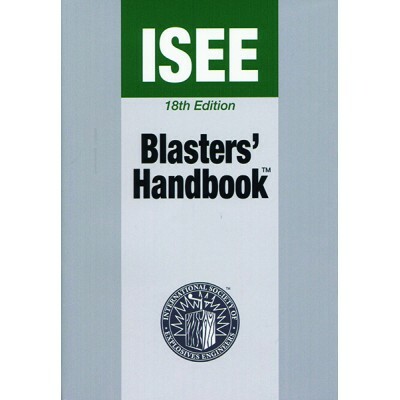 The e-book version of the Blasters’ Handbook, 18th Edition, second printing, containing more than 1,000 pages of explosives knowledge written and designed by experienced industry professionals. With the blaster-in-charge as the focus, the Blasters’ Handbook is divided into four parts, with an emphasis on safety, security and communication throughout the publication. This e-book is a copy protected EPUB file that allows one user per purchase and restricts copying and printing pages. It is compatible with most iPads, iPhones, Android devices, Windows PCs and Macs. Please note: This purchase is not an instant download. An email with download instructions will be sent shortly after an order has been placed.